Currently in Australia there is a vote taking place on Marriage Equality to which I will vote yes, however I can’t seem to lose the thought in my mind of how this is even a consideration when we are still so far behind in Gender Equality? I feel terrible writing this and almost selfish though is that because I’m a Woman and tend to think more about others before myself? Look at this picture and tell me what is wrong with it? Ok so I am a Woman who wants a family eventually. Right now I am building my career and want to have at least one child when I’m in my mid 30’s, there is nothing wrong with that. In my career I will eventually have the potential to earn a lot more than my partner, I also have no desire to be a stay at home mum. This does not mean that I want my child to be in daycare all day everyday, it means I want my partner to be entitled to Paternity leave. Why is this not yet an option? I am considering not having children if this doesn’t change, am I weird or is society so behind in this? 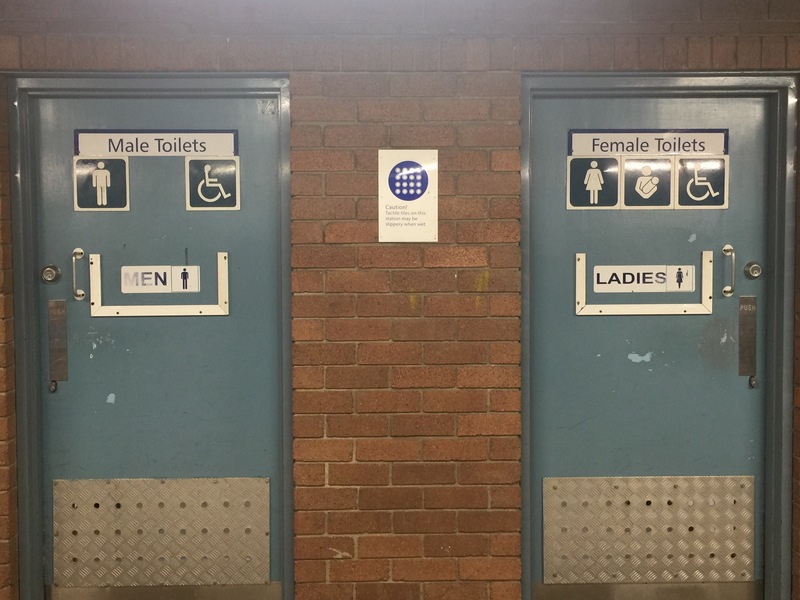 Look at the above picture, the poor man can’t even go into a public bathroom to change his child, it’s just assumed that women will predominantly look after the child so therefore they include the change tables in women’s toilets – this actually makes me outraged. Feminist VS Feminism VS Equalist. We all know that you cannot bring up the word “Feminist” in front of a Male, you will feel the tension straight away and notice that the present Male will slowly step away from you like your a psycho. It makes me wonder why this is? In my opinion, a Feminist is someone who takes part in ways to promote and better Gender Equality. However recently I do notice that Women are uneducated and use the word “Feminist” negatively toward men to almost demote Males in order to prove Females are better. Feminism should be about making positive changes in Gender Equality and educating both Genders on how we can continue making small changes in order to have a more equal future. Us Women need to remember that we will never be the “same” as men, our bodies are different. This is why I am an equalist, I believe in equal rights and equal opportunities. I do not want to demote Men or make them feel bad for the current issues we are facing. I do however want to continue educating them and ensure that they are empathising with us Women and our situation, instead of them not understanding and ignoring it. I want to continue this conversation so please share your thoughts, I feel very passionate about this topic and am always open to other opinions.